What is Restylane Lyps with Lidocaine? 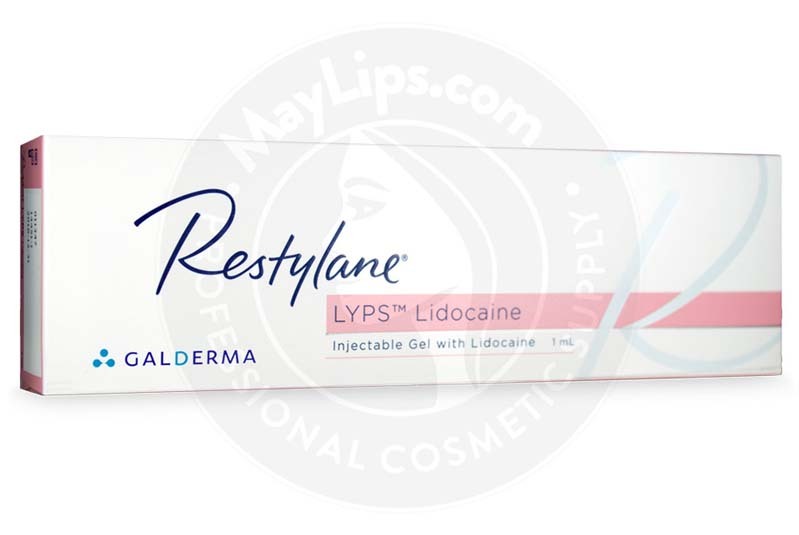 Restylane Lyps with Lidocaine is a bioresorbable, non-animal stabilized hyaluronic acid gel enhanced with lidocaine. 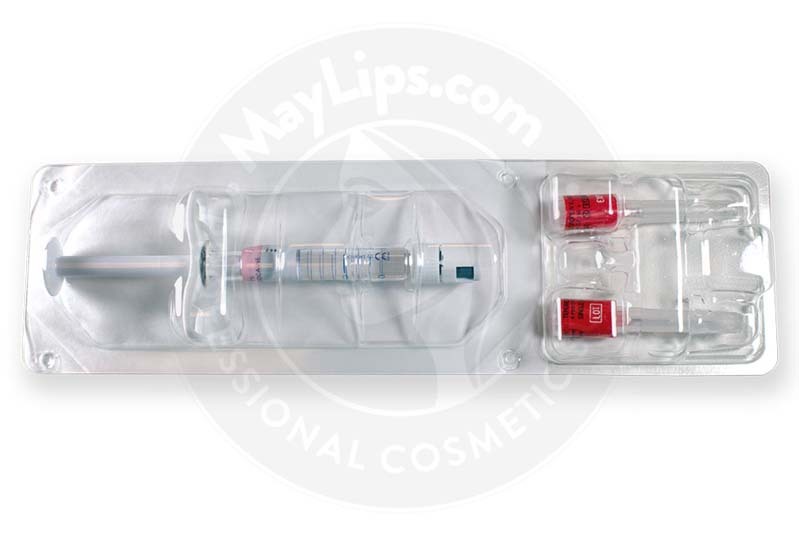 Manufactured by Galderma, this dermal filler is specifically designed to enhance lip definition. The hyaluronic acid concentration is 20mg/ml, with an added 3mg/ml of lidocaine to provide pain relief during treatment. This transparent gel is packaged in a single 1ml prefilled syringe, and comes with two single-use 29GTW (thin-walled) needles, a product pamphlet, and traceability labels to attach to the patient record. 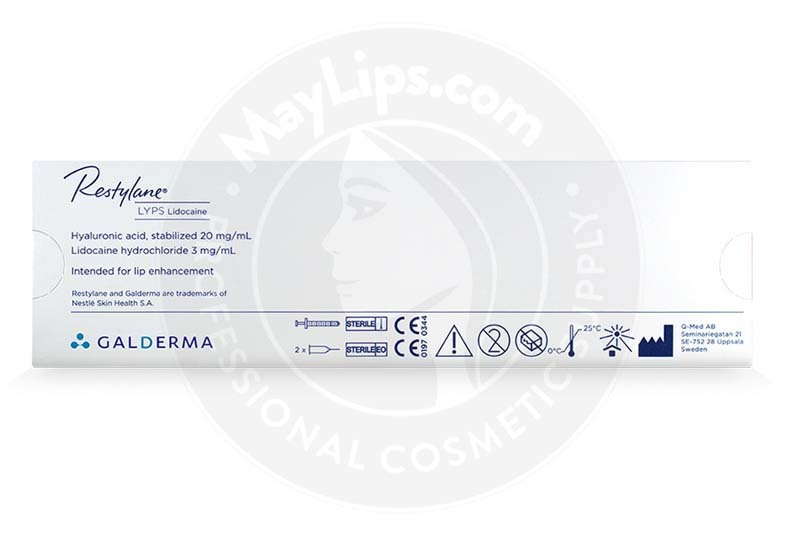 Restylane Lyps with Lidocaine is uniquely formulated to correct thin and undefined lips. Use to add contour and volume to the lips for a shapely and sensuous pout. The addition of a local anesthetic, lidocaine, helps to ease pain and discomfort during treatment. This filler is only intended for use by authorized and trained personnel. Lips only have 3 to 5 layers of cell structures, compared to up to 16 layers on other parts of the face. The 3 major layers are skin, muscle, and oral mucosa. The relatively thin skin, combined with fewer pigment cells, give the lips a different hue due to visible blood vessels. A well-defined vermilion border is the secret to well-formed lips. The plumpness of the lips can fluctuate with age and lifestyle habits. This is due to reduced production of fundamental skin cell components like collagen and hyaluronic acid. 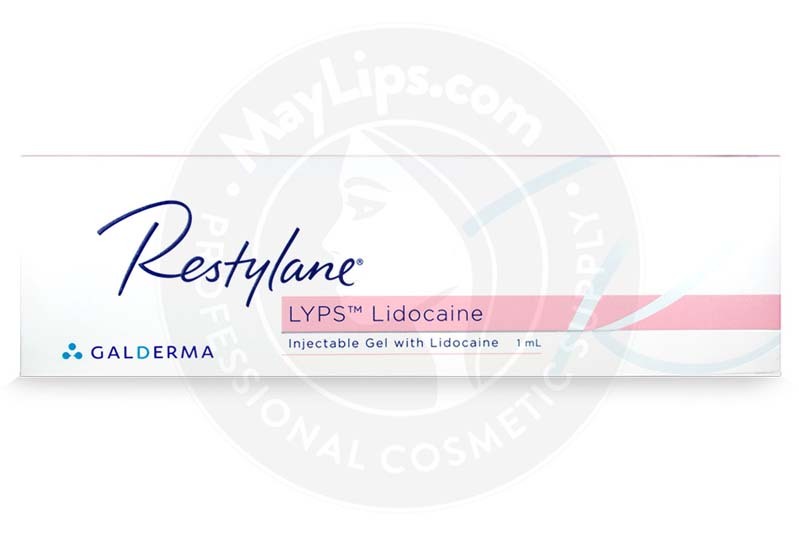 Restylane Lyps with Lidocaine helps provide a smooth, moisturizing volume that is resilient enough to withstand various pressures and movements of lips. Hyaluronic acid also works by stimulating the body’s own collagen production to further improve the shape and volume of lips. Your patients’ lips look more alluring, yet natural. Inform your patient of any precautions and side effects prior to treatment. Disinfect the area prior to injection. Inject Restylane Lyps with Lidocaine into the lips using the needle provided. If preferred, a sterile blunt cannula 25–27G can be used. Massage the treatment area to mold and evenly distribute the gel if necessary. A maximum treatment dosage of 1.5ml is recommended for each lip during a single session. You may wish to suggest a touch-up treatment for the best outcome. Restylane Lyps with Lidocaine is a non-permanent lip filler. It can usually last up to six months, after which the filler will dissolve naturally into the lip tissues. Patients can opt for follow-up treatments to maintain their luscious lips. Is this product safe safe? Restylane Lyps with Lidocaine is very safe, and the contents of the gel are sterilized using moist heat. The stabilized hyaluronic acid is of non-animal origin, so hypersensitivity is rare. Nonetheless, this filler should not be used by certain individuals, including pregnant or breastfeeding women, those with allergies to any of the filler’s components, those with bacterial allergies, and those taking immunosuppressive medications. Refer to the provided leaflet for a full list of contraindications and side effects. Usual side effects of Restylane Lyps with Lidocaine injections that mayoccur tend to resolve within a few days after treatment. The recovery time may be shortened with additional aftercare methods, such as applying cold compresses and massaging the treated areas. Patients are encouraged to minimize exposure to extreme temperatures (e.g. sun tanning, tanning beds, saunas, and cold rooms) until the side effects have diminished. Makeup should not be worn for at least 24 hours after treatment. Patients should postpone the treatment session if they are still recovering from other skin treatments like dermabrasion or chemical peels. Some medications and supplements, such as aspirin, warfarin, ginkgo biloba, fish oil, and St. John’s wort, may increase bleeding and/or bruising at the injection site. Advise your patients to avoid these medications, if possible, for a few days prior to treatment. Some adverse reactions may happen. Advise your patients to seek medical attention if any of the side effects persist beyond 14 days. Restylane Lyps with Lidocaine is a stabilized none-animal hyaluronic acid gel derived from Streptococci bacteria fermentation. Name: RESTYLANE® LYPS™ with Lidocaine. Ingredients: Non-animal stabilized hyaluronic acid, NASHA™ (20 mg/ml); Lidocaine hydrochloride (3mg/ml). Size: 1x1 mL pre-filled syringe. Also Included: Two sterile 29G1/2” needles. Package insert. A patient record label.